— live and taped coverage continues on NASA TV via Mission Control Center Moscow. Welcome home Astronaut! Its been a pleasure to follow your adventure! Congatulations & Welcome back !! Thank You..
Congratulations to a good landing. I am impressed by your blog. Welcome Home Astronaut! It has been a pleasure to follow your adventure. Watched the landing with my 10 year old daughter on NASA TV. wowwwwwwwww…. I am speechless…. Welcome back HOME everyone. The world welcomes you home. We are so thrilled for you and can’t wait to see your smiling face. Hugs to you and Hamid. You landed a couple of min ago …i was hoping to observe your landing on NASA TV ,but unfortunately it did not show it. Anyway …Thanks for all the inspiration…you are awesome. Welcome back. You have made a difference across the globe. Thank you for your courage, determination, and good heart. Welcome home and congratulations to a good landing.I look forward to read more about your experince in SSI. Thank God for your safe return. Welcome back! Congragulations on all that you have accomplished. Can’t wait to see you in person. I saw all of it on NASA TV Live. Congradulationssssssssss! I’m so happy for your good landing. yek eftekhari baraie hameie donia. The precious cargo has returned, how inspiring you have been. My imagination went wild with the “Storm over the Pacific” topic. I live on the East Coast of OZ. Heyyyyy uuu!!!!!! Welcome Back to Earth!!!!!!! We are waiting for your stories and more pictures on your blog!!!!! Don’t forget that, OK?????? I wished I was there to give u a big hug!!!!!! I hope to see you soon on your website!!!!! Welcome back to Gravity! You have accomplished so much!!! It was a pleasure reading your entries and looking to the sky knowing that you were up there gazing back down with a cold forehead to the window! You have become a hero to so many!! May your days be blessed and plentiful!! We hope Safe landing for you and your spaceshipmates. Welcome home The Little Princess. I saw your powerful and safe landing. Welcome to earth again! and happy to you and your respected family and your encient country, Iran. Wellcome back Anoosheh .Iàm watching you right now on Nasa tv. I am very happy that every things went well.I can now go to bed . Good morning for you and good night for me hier in holland. There is no place like home ,I feel that i have been away for a long time.I realy felt that i was there too. Thank you for the feeling you gave us all. Until Next time Take care and in case i forget good morning good after noon ,good evening and good night,And Have a Good Life! Welcome Back. We’re all so thrilled to have you back. I’m working here at the office and monitoring your journey at the same time. Thank God for your safe return. More power and looking forward to your story on how it feels to be back here on earth and the feeling of being in the soyuz as it touches down here on earth. Yeyyyyyyyy You made it home!!!!!!!! I saw everything on NASA TV and it was fabulous! Just now I am watching the video of the re-entry taken from the ISS too. I am very glad to see an Iranian like you do this. We’re all happy for you and you Opened a new chapter in Space adventure. Welcome HOME Anousheh jan. Thank you for your souvenir for the people of all over the world! We recieved it before your return. Dear Anousheh.Welcome back to your home and congeratulation for your safe landing.I watched your landing LIVE on Nasa TV and Im so proud to see an Iranian lady at this stage of honor.Best Wishes,Mahdi .Manchester UK. Congratulations to Anoosheh (The First Iranian FAza navard). I miss you already.I hope you will continue with your blog . I miss you so much.I dont like to finish my note.But i have to. Thank you, Anousheh for everything! I looked up in the sky during the day out of a large window at work and thought to myself, I wonder where Anousheh is right now. I asked myself that many times during your trip. Thank you for this blog and your beautiful descriptions of what you saw, thought and felt in space. You made it a complete journey for me too. You are a friend to us all and we love you! Welcome home. Thank you for bringing us all along with you. I am turly impresed with the way you handled yourself. Good luck in the future. Welcome back.u give me extra energy for studing my board exam. Thanks 4 beautiful flag on ur left chest,it makes me cry for Iran. Im So Happy 2 C U Safe & Sound. Please dont forget to continue writing in ur blog,I have the hunger of knowing more and more about u and ur experience in the beautiful sky. You did it! Congratulations! My all your dreams come true like this! I am so proud of you! I was prayed for you to have a safe return. Thanks God. What do you feel now? Please keep writing your blog. I read it every day. THANK YOU FOR THE FEELING YOU GAVE US ALL. WE ARE PROUD OF YOU. You got ahead of Richard Brandson for journey to space, Anousheh! Good job and we admire you. Don’t forget about writing book with CD/ DVD as I suggested before. Welcome back! You did it! I am so glad you’ve landed safely but will really miss reading your beautifully narrated and educational blogs each day. I feel like I already know you. I hope to have the opportunity to meet you some day and congratulate you in person for being the wonderful human being that you are and for trying to make a difference for the better on our beautiful earth. You are truly beautiful inside and out! What a waste. Nothing acomplished. CAN YOU TELL ME ONE SINGLE PURPOSE OR GOAL YOU ACHIEVED. I would rather have seen some person going up with some productive use.You even forgot the experiments that you were supposed to take up……WHAT A SHAME. I just ran back from coaching 11 year old kids soccer here in Houston area and saw that you have landed safely. What a joy! As an Iranian ofcourse I am proud of you but people like you don’t only belong to one country. They belong to the whole world. That’s why we are all celebrating your arrival together. Pleae take a good rest but remember that we are all waiting for more writings from you. Again, welcome back to Earth. I am so glad you joined us here on earth safe. If you do I will be 1st in line to buy it. Hi Anousha from Geoff Weston in Dunedin New Zealand. Well, that was an exciting return. Saw it all from undocking onwards. Mission control in Moscow gave a good coverage of the comunications all the way through from firing the descent engines, the seperation of the modules, the fiery re-entry (of which live camera at the landing site captured you streaking across the sky); the Loss of signal and aquasition of comunications again. Then the capsul on the big orange chute. That was all we saw until coverage resumed at the landing site but the voice commentary of the actual landing was good. I saw you pulled out of the Soyuz and sitting on the deck chair with a huge bouguet of red flowers, a large green apple and a smile on your face. It looked cold and I noticed you kept your gloves on for a while. The other crew looked a bit chilled. Just a great end to a fantastic spce mission and event for me. Quite the best coverage I have ever seen in fact. (I have followed this from SST 115 launch)Imagine, in the sixties all I could get was a short wave signal- with scratches and all, on something new called a transister radio!Communication has come along way since then. Now I can see, and here everything. And you have opened up the door to space even more. Hope to see you in New Zealand one day…. Welcome home A.A.! Your blog has been such a wonderful way to keep track of your amazing adventure. I have neighbors who are Iranian-Americans like you and we have all been very inspired by your trip. I think the two descriptions I remember the most were of you floating in the middle of the compartment and NOT MOVING until the air blew you from one side or the other and the one of you pressing your forehead against the window until it was cold from the cold of space. Just astounding. I will be attending a panel discussion on the future of space exploration at the Lunar and Planetary Institute next week put on by the Planetary Society and the Association of Space Explorers (an organization for which you now qualify to be a member!) and reading your blog has given me so many lines of discussion I wish to explore with the panel of three astronauts and two planetary scientists. I know the your return to the Earth from JAXA mail magazine. Now I am watching the NHK(Nihon Housou Kyoukai) 12 o’clock TV-News show. You seem to good condition with other crews in TV. Thank to Russian cosmonauts and recovery team in Russia and Kazafstan. Ofcause you and Peter and many fans of Space Tourism!!! I hope your adjustment back to the conditions on Earth goes smoothly. This was hopefully the first of many space trips for you! Thanks again for your inspirational words and videos on this blog. A very insprirational step on your part for everyone. I wish you success in your next steps as well. You’re back to earth in time for Ramadan. Hope you enjoy a good Iftar with your family. Welcome to Earth, U made us proud. Welcome back. Hope you had a great stay in the world yonder. Do write about your experiences. Thank God for your safe return. Thank you for being so brave. Please accept our congratulations. We are proud of you. Welcome to Mother Earth. CONGRATULATIONS on a successful flight and safe landing Kazakhstan. I cheered your sucess with friends watching the landing. It is my hope to cheer you again at the X-Prize Cup next month in Las Cruces, New Mexico. It is my hope to shake you hand and to wish you and your husband congratulations on the speace endeavor and those yet to come. I’m happy you had a safe trip, and welcome back to Earth! We are all proud of you! WELCOME HOME! I’m glad to hear you made it back safely. Congratulations on a succesful mission! be zamin khosh omadi.filme forodet ro be zamin didam va vagti chehre khndanet ro didam khili khoshhal shodam va khoda ro shokr kardam ke salem va khoshhal be zamin residi…zamin va hame mardomesh be tu ehtiaj daran va be tu eftekhar mikonand…hame ro khoshhal kardi…. The world welcomes you ;AAAAAAAAASTRONANAUT. I look forward to read more about your experience in XPRIZE more than ago.I hope that you get another dream. Its very well that see you and your new project. one can dance a weighless ballet with the stars. know you have had your dance with the stars. Welcome home and long days on planet earth. May peace prevail! The world welcomes you ; AAAAAAAAAAAASTRONAUT. Im looking forward to read more about your experience in xprize more than ago. I hope that you get another dream.Its very well that see you and your project. Very glad you are back safe and sound, you are an inspiration to all. Its been great and astonishing fallowing your journey. Wishing you all the best. From a brazilian citizen…Welcome back to Earth Msr.Anoushed Ansari.. You have set a major example of freedom and independence to all the woman of the world ,especially to all the oppress woman of Iran and all others.Your mission for peace have just began…I wish you all the best. خوش آمدي خيلي خوشحاليم كه صحيح و سالم برگشتي و باعث شعف همه ي ايراني ها شدي ما به شما افتخار ميكنيم اميدوارم كه هميشه موفق باشي و باعث سرافرازي نام كشور عزيزمان شوي . Welcome home Anousheh I am so glad and will thank God you made it without any mishaps. You have again touched my life in a very positive way, and I thank you for it. You are a wonderful woman and I do know your supported, especially by Hamid, so I must thank you both. Welcome back home. You have achieved your childhold dream and have inspired many people. Best Wishes. I always believed that space tourism would be available LONG before now. I applaud your participation with the hopes that the day will come sooner that others will be able to make the trip as you have done. They should have a frequent lottery so that the cost could be shared by many with one lucky winner to take the trip, and thus make the human birthright to the stars also available to those whom are not financially able. Good for you. Thanks for everything, for all the information and knowledge that you gave us about space and for the inspiration that you gave to every one around the world. Welcome home, I’m so glad to have you with us again. Tell me if you can see our lovely Persian Gulf from there please. “Vivre,c’est rêver, pour oser réaliser ses rêves”. C’est peut-être cela le secret de ton voyage : à des milliers de kilomètres de la Terre, que tu as observée d’aussi loin avec autant de bonheur, nous dire que pour l’essentiel, on ne voit bien qu’avec le coeur. Glad you made it back in one piece. Can’t wait to read the details of reentry and landing Soyuz style. Hi Glad to see yea made it back safe and sound along with Jeff and ? Heck I’m losie with names. Anyway what ya all did was awsesome.!!!!! If i was in your place i;d be smiling also. It was my pleasure to hear your adventoures trip to space. In fact I do not know any other Iranain people to have such a shining success in his/her background. When I awared of your efforts for materialization of your dream and ultimately you reached to it, I got very delightful and a sea of hope hugging me, my energy for achieving the pre-defined goalds mutiplied and this significant event considerably impacts on my daily activities for conquring my goals. So wonderful, all that you have done – and especially leaving Earth, as our kind must do in a much bigger way, as we mature to a star-faring civilization. Dear Anousheh and the rest of the gang — welcome back. What a relief it is to all of us. You know on one hand I marvel at your experience and on the other hand I’m really jealous. Atleast at the fag end of your life when you look back you will have had the satisfaction of having lived life and seen life to its full. Congratulations! How proud the whole world must be — we all are. Take rest and please update this blog. We are waiting for more. Are you in orbit right now? Just let me have a reply from yourside when you return to Earth. With best wishes for you to come into true your second great dream. Inshaallah. First of all congrats and best wishes on your successful spaceflight. Now I can say there’s one more star that has aimed at the sky and also reached the destination rather than falling on the tree top. I am currently working as a Telecom Software Engineer and I am interested in becoming an astronaut. I am getting ready to do Masters Avionics and Astronautics for this. I need your help with regards to this. Can you plz. write back to me on how I cna proceed from here. I am eagerly waiting for your earliest reply. Once again my heartiest wishes on your remarkable accomplishment. Welcome back! How sort this must have felt, though. From down here, it seems I barely had time to know you were up there, and now you are back. Still, I can hardly wait to read your next thoughts. I am honored to be living in a time when a woman such as yourself not only exists, but is able to seize a chance to do what you have done. With what you did, I don’t fear of being woman in Iran anymore, I don’t feel lost without a model anymore. With you as my first model, I can now achive my own dreams. I cannot describe my feelings about you, since I have heard the news about your travel to space a continous joy dominated on my spirit of course together with a sense of honour. Reqularly I am following the news form your stay in ISS and impatiently waiting for your return to your mother planet. Surely you would write a book from this historical trip and make all interested people joyful. Anoushe Aziz I am about at your age and this common factor has much more impacts on my goals. May I ask you to send me a kind reply with a special memory from ISS when you come back home. Congratulations and alhamdulillah you returned to the Earth safely. You must have lots of stories for your kids, family and friends. My heartfelt congratulations on your successful journey and accompolished mission. All I can say is what you did and have been doing so far has made me truly proud to be a citizen of the world living in Tehran. I wish you the best of luck in all you do in life. I can see in my mind the day when human being is leaving the Earth for far far away space and coming back to it again. It will be like traveling between different continents by airplane but in much bigger dimensions. And in those days they will remember pioneers of these trips. You will be one of those pioneers who inspired the whole world, and not just the western world, to move ahead and prove that the mankind can touch the limits of the Universe and go beyond it. You taught the whole world, and not just the western world, how to push the limits back. This chaos world really needs people like you. At least I have learned and am learning a lot from you. I am so lucky to live in same era as you do. Wish all the best and keep it up as you are the light for many. How do you feel now on the Earth? Good to see you back, I was watching the last part of the landing on NASA TV. I have been following your blog since launch and it makes an exciting reading – including other people’s comments ( this is my first and will probably be the only one ). I noticed just about one person here wanted to thank the Russian team – Misson Control, the recovery team, the crew, people of Star City etc. Some people even wrote in their comments you went up on a Space Shuttle ( huh ? ). All that reminded me again about how little people know about what is going on “behind the scenes”. For over two years Soyuz’ have been taxing people to and from IIS, including 3 more space tourists, while shuttles were grounded.Those behind Russian space program may not be making their ways into glossy magazines or NASA TV, for them it is just work, hard work ( actually, for *them* it is far more than just work but that is another story ). I would like to thank the Russian team for the job well done – those who provided Soyuz ( which is quite a vehicle, simple and reliable ) and were supporting the mission and are supporting ISS in orbit and its crew. On a different note – hello to everyone in Iran / Persia and welcome to the club 😉 It is great to see so many of you online these days, I guess your feelings are somewhat similar to what Russians have experienced back in 1961 when our first cosmonaut whent into space on Vostok-1. Anousheh is a great person she inspires us all no matter where we live .. Welcome back on Earth! I’m in the office right now…but to tell the truth, I’m impatient to go home and watch the news and see if I can see any video or things like that! You have been great so far, and your blogs were amazing. I’m already a fan of yours, and inspired in many ways by you! Thanks! I wish your colleagues and you a safe landing to earth. Be health and nice when you return home. Somes photos on yahoo about the arrival of Anousheh and his coleagues on earth. سلام خانم انوشه انصاری این روزها کمتر کسی را می توان پیدا کرد که در مورد سفر هیجان انگیز و غرور آفرین شمانشنیده باشه. من واقعا به شما افتخار می کنم که نام ایران را به سر زبانها انداخته اید. واقعا به پشتکار و تلاش بی وقفه شما باید تبریک گفت که به چنین موفقیت عظیمی دست پیدا کرده اید. من هم آرزوی زیادی داشتم و دارم نزدیک بود که تمام اونها رو به دست فراموشی بسپرم چون رسیدن خودم رو به آرزوهام غیرممکن می دیدم ولی الان با الگوی خوبی که شما به من دادین نهایت سعی ام را خواهم کرد. به امید سلامت برگشتن شما از این سفر بزرگ. I prayed for your safe return, and i am thankfull that you are back safe. I hope that you will still tell us about your experience and not just forget about us, but if you just happen to do, i will know that you are busy with much more important matters in your life. God bless you. It brought tears of joy to my eyes to know you made it back to BOTH your families, to your sisters, cousins, husband, parents, relatives and to us, your cyber family. Thank you to everyone involved for bringing Anouseh back successfully. There are so many ways to describe you and your accomplishments but the best for me is that you are the ultimate Ambassador for our planet. I am a women your age and grew up with all the firsts in space but your experience has touched me more deeply than any other because of your big wonderful heart, your courage and intimacy of your writing. Please keep up your blog to share with us what it is like being back home. To see so many positive comments from all over the world in so many languages It has been so strange and wonderful to share my reactions to your blogs with so many other in your cyber family in so many languages and it so many ways. Welcome home dear Astronaut! Its been a pleasure to follow your adventure! You inspire us all! Thank you so much! Really glad you made home in good order. Not to take away from your time on station I wanted to send my thanks to Paval. I feel that he has been overlooked from his contribution to the program. If possible please send he my thanks. Anoosheh , be zamin khoshamadi! kheili khoshhalam ke fooroode khoobi dashti ! montazere harfat , video hat va hamechiz ke to baramoon jam kardi , hastim ! be omid e didar dar iran! …how you can relate…to everyone . When I read your recent blogs, you struck a chord with me. What is called ‘resonance’ in chemistry. I visited Toos and Mashhad at age 5 (I suggest an Ansari shrine half-way in the middle to the officials – if that’s OK?? Please) Where was I – 3 nights ago…I fell asleep on the love seat (small couch/kanapeh) in a fetal position and slept with peaceful dreams til morning. And what’s more, I’ve been floating around the house (dancing) to the tune of this blog. Which brought me back to quantum physics: Stopped dancing for a minute, sat back on the love seat, relaxed, cleared my throat – ehemmm – Shhhout: ‘You float and then you catch, later ;)’ Reference: Any physical chemistry book…Merci Anousheh – (I grab the ol’ book floating), flipping, flipping, there – I find it: The Schrodinger Equation, both versions (electronic and nuclear), say the same thing, with me, “PEACE.” And if no one hears, say PLEASE. Further, there are two properties to any ‘being’: The wave function (float, surf, cruise, tumble,…) and matter ‘definitely not madder’ (objects, land, minerals, diamond,…) YOU NEED BOTH FOR PEACE. I can only pass one part – the wave started on this blog – catch it world – toss it up…..til it’s caught and then taught – once and for all. The other part, ‘I’ll do my best to understand since I don’t play football ;)’ For the first time in 30 years I feel tall. Is this OK? Do I get an A? or B? Can you “C?” How about a PhD? or Xyz? Kind regards to all, especially to the shining star – you’re brighter than ever. You XP’s are GREAT – you speak my language 🙂 Mamnoon, Thank you, Merci, Gracias, Dankishen (am working on Asian and African thank-you’s next). Thanks to Anousheh, and the Ansaris’, again, Peter Diamandis, the X-Prize Foundation, its Trustees, Peace-seeking leaders on Earth, Many Many Iranian/nonIranian friends from everywhere who continue to inspire (elham) people to make a heartfelt choice, the Russian team (thanks Andrew for mentioning that), the people at PCC/ISSD (indeed an institute of higher learning) this land of freedom with which I fell in love at age 8, my Iranian heritage (free spirit), and The X-Prize Foundation helped me, personally, to eXpress myself and now I can breathe free…. Neda (Last words: PEACE…..without blood….PERIOD). I am happy that you had a safe landing. welcome back home.. i’m really glad you had a safe landing. i just wanna tell you that you’ve been a great inspiration for all women. many of them who have not been interested in space or astronauts are now eager to find out more about you. wish you all the best in your future plans. Having such a powerful vision and reaching to childhood dreams is wonderful and we are sure that this is the right interprete of that word which says: WANT and GET REACHED! We wish you more and more success and happiness. Write a perfect book about your space trip and stories of tests and practices and preparing before this trip and of course from ur personal boigraphy. Shoma be onwane yek zane irani baese eftekhare ma iranian hasted. Ba arze tabrik mowafaghiate shoma ro dar ayande che dar sherkate khodetun wa che dar hamkarehaye space arezumandam. our prayer and your excellent job finally ended up with the safe return.i am extraordinary happy to see you bcak here at home.but the very fact is …we will miss you !!! you have become the one who i wont forget in my pray and dream! Welcome back and have a great lfe ahead, i would like u to continue the blog and share the great experiance. U will defly change the world as per your dreans. Im so happy,excited for your travelling. I hope that, you always be successful. THE FIRST IRANIAN ASTRONAUT.it was very very interesting news for me. kheili khoshhalam keh salem beh zamin bargashtin. I am happy to see that you all made it back safely! I think I’ll share your blog link on my own today so that I can spread the happiness and positive thinking! I cried tears of joy today. We are all very proud of you, the first Iranian Astronaut. Comme le disait si bien votre cousin, un chapitre se ferme, mais d’autres s’ouvrent et votre mission ne fait que commencer ! Il n’y a pas de doute – vous serez un modèle et vous inspirerez des dizaines de miliers de jeunes gens, au le monde entier. Il n’y a pas de plus grande ambasadrice de la pays, aujourd’hui, que vous-mêmes. Que vos rêves les plus chers se réalisent : ils réprésenteront un grand pas pour vous, mais un pas de géant pour l’humanité. Welcome back to your home and many new friends!! At least for now, I believe we are ending this chapter…temporarily anyway? 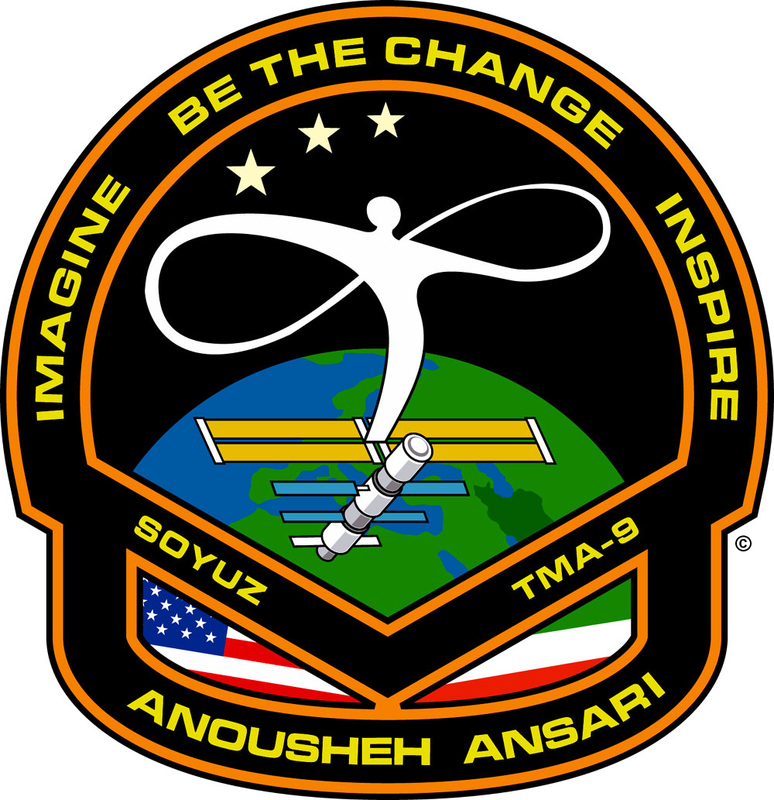 However, I will be looking forward to hearing about the next great adventure of Anousheh Ansari!!!!!! Thank God for your safety and thanks to you husband for his love and patience for you. امیدوارم به خوبیهای خود ، به بدیهای زمین نگاه نکنی. welcome back abord Gravity Spaceship … Keep on writing, we need your experience down there ! Welcome back to the earth ! 🙂 ,,, When I was reading your experience I felt I was having the same feeling of beeing in the space . please don`t think about it as a come true wishes ,It is the beggining of travelling to space , I hope one day it would be as easier as taking a taxi to downtown 😉 . Waiting for your next space trip . Welcome back ! A great thank you from Portugal/Europe ( certainly a small point from up there in the ISS). Thanks to your posts we could feel a little bit in space too ! What a trip! Welcome back to Tiny Town. You haven’t missed much since you’ve been gone…a few thousand murders here and there, kids starving to death, the usual wars and demi-wars, a bit of lethal religous intolerance, gigatons of additional toxins released into the biosphere, all in all a quiet week for news. Oh, and the classic Byron Nelson died, which was a big deal here in DFW, and some Cowboys player allegedly tried to make himself die, which was an even bigger deal here in DFW. The world can be a pretty depressing place if you view it through the landing page of Yahoo! news or the Dallas Morning News front page. But one story clawed its way up from the muck every day and gave us all hope for the future, and that story was yours. Thank you, Anousheh, for making the trip and giving the rest of us something to shoot for–the stars. I doubt I’ll ever get the chance, but my son and daughter now have it. Your example has undoubtedly inspired hundreds of thousands of future astronauts, scientists, and explorers, that alone is priceless. The world in 20 years will be a better place than it would have been had you spent your hard-earned money on a small yacht, or a fractional ownership in a G5. تبريك ، تبريك و خير مقدم. خيلي خوشحالم.هميشه سرفراز و موفق باشي. Wow what an adventure. I was so amazed, excit4ed and intrigued by your space adventure. My girls are 12 and 16, and were all extremely fascinated` by your blogs. Every evening when I got home from work, the first thing I did was check out your blogs from space. So altough were thrilled and prayed for your safe arrival home, we will miss hearing from your day to day space adventures. Now it’s time to plant a tree in Baikonur, isn’t it? You are our HERO! We proud of you. After you passed recovery and taking rest and passing all the welcome ceremonies, let us know about your journey back to Earth and your fist impression of coming back to Earth and your feeling about life now after the experience space trip. One again I wanna repeat my comment and idea on making simulators of ISS for tourists on the Earth. People can experience weightlessness while they can have of earth from some visions there which are receiving live view of Earth. They can have a wear those suits and learn about astronomy, especially it will be great experience for Childers who some of the will do space missions in future. Researches can find some methods to simulate weightlessness in a cheap way, so in all cities we can have some of weightlessness simulators maybe just next to our gyms, like pools. It will be exciting for elders while they can not move easily on the earth, they can experience to fly like a bird in a safe place. It’s really possible, isn’t it? I am sure you can manage that with your intelligence and experience. Wish you the best in your life. Congratulations on your trip to and back from space Anousheh. It has been interesting to read your blog and see your personal thoughts as the journey progressed. So, welcome back! I am so proud of you and your husband as an Iranian wife and hasband.Both of you can be the best model for our life. I have been following your journey step by step. your writting is awesome. SEDS (Students for Exploration and Development of Space) extends you a warm welcome to home. You are a great inspiration for all of us who have the dream to see our earth from that ‘other’ dimension. You have definitely set a mile-stone for many of us to reach. Congratulations, we look forward to seeing you at the Cup in October and hope to hear some of your interesting experiences. Watched you landing on NASA TV last night in Chicago. Welcome back from a great adventure. Keep writing, your blog is great. وقتی عکس شما رو تو اون کیسه با دسته گل رز کنار حمید آقاتون دیدم خیلی کیف کردم.شما فعل خواستن رو برای ما ایرانیها صرف کردین. First of all I like to thanks God of your safe return to the Earth. Congratulation! It was certainly an inspiring mission to not only to the Iranians but also to many across the World. I am sure your ambitious journey has already planted dreams to many young and old people. Having an Iranian fiancée living in Tehran, I know how proud how they feel over there for you. I hope and pray that you would continue make history for everyone. May God bless you! I am glad you are down safely. I enjoyed reading about your happy adventure. May you, your birth country, and your adopted country, continue to have a peaceful life, one full of learning and beauty. kheyli kheyli khoshhalam ke be salamat forood amadi.shoma olgooye talash baraye tamame iranian hastid.shoma be royaye ziba va arezeshmandetan residid.bazgashte eftekhar amizetan ra be shoma va khanevade mohtarametan tabrik migooyam.ey kash man ham mitavanestam safari be faza dashte basham.khahesh mikonam be man mail bezanid. be omide movafaghiyate bishtare shoma. I write to you 3 times.I tell you again WELCOME earth. Welcome back. I have never watched space voyages nor launches until this one. Great job on everything you accomplished. This was so exciting for me. Thank you so much for sharing your journey. Again, welcome back. Welcome back, thanks for sharing your vision. Now that are are back at home you need some hollidays – and I whish you a good time with your husband and all the other beloved persons around you. But then you will feel a mighty power inside of you – which will push you strongly to work on further Ansari-Projects. At that time I think you should have a look on the webpage of Mr. Naudin, one of the innovators of anti-gravity devices. Much better even is to SEE by yourself one of the builded *Lifters*. There are hunderts all around worldwide. But was it something else at the beginning of spacecraft? With all the apes and dogs (I’m 54, and I remeber ‘Laica’). Well – I think this is the first step to anti-gravitation. And THIS is in my opinion the more easy way upwards. I’m at you service for more informations or any help. Meanwhile have a good rest, and good dreams in both realitys. All human beings are children of the stars, but only a few have taken the first step into the wonderful universe out there. You have started to lead the way towards a better understanding of who we are, of what we are. Your experience is indeed significant for all of us who want to be deeply aware of our place in the universe. Thank you for leading the way and for sharing it with us. Lead further, Anousheh! تبريك ، تبريك ، خير مقدم. خيلي خوشحالم.اميدوارم هميشه سرفراز و موفق باشي. Welcome home. Am thankful that your journey was a safe one. Really enjoyed sharing your experiences. Sincerely hope to here more of you and from you in the coming days, months, and years. Like thousands before, I want to welcome you home. I too am a dreamer who, unfortunately, has become to be cynical. Your entire adventure has re-awaken my faith in humanity. I will add a thought that I have no doubt is shared by thousands who followed your adventure: You are a goddess! Brains, beauty, courage! What is there to add? Thank god for the safe return. Home is there where the friends are. Now you have two homes. One here on our planet earth and one in the Orbit. Waiting for the next blog entrie. Welcome back home! Thank you for your inspirational journey! Dear Anoushe, thank you for making us feel happy about our civilisations and cultures, giving hope to lots of peopel around the world! I’m working in hotel industry, in Paris, and I realy hope to have the pleasure to be your host when ever your way cross this lovely city. I might find the oppurtunatly to ask you to compar your experience between your journy to stars and our Westin experience of starwoodhotels in Paris. When I was a kid in the 1960’s I too used to dream of going to space and even drew sketches of a Space ship that would take off and fly a sub orbital mission and land again taking passengers along for the ride. This was in the time of the “Space Race when all who had gone into space were right stuff Astronauts and the moon was the destination. The flight of Space Ship One which you were so involved with through the Ansari X prize sort of brought back memories to me, I had dreamed it all before. Now you have showed how Orbital flight can be achieved for ordinary people in a most momentous way with your blog and your vivid descriptions . You talk of making another space flight! Space Adventures and Energia have plans for a Soyuz TMA flight around the Moon. That, Anousheh would be the flight to make! Go for it! Go to the Moon! Space Frontier Foundation UK International Liaison. Welcome back and congratulations to the successful mission. You are great. Thank you for letting us participate when your dream came true. You truely are an inspiration. Wish I could fly up there too and also to meet all the wonderful people in space and on the ground. All of you are great and enclosed in my heart. Keep up with the good work. Thanks for your amazing and pictorial descriptions from orbit. I will miss it. Already waiting for your next endeavors. Congratulations on your trip to space and come back home.I am glad you had a safe landing, and so proud of you for being a great inspiration for all women.I have been following your journey from the first step . Keep on writing, I look forward to knowing more about your excellent experiences. It has been a great 10 days following your adventures in the space. Watched it at NASA tv with a short view of reentree from the ISS. Good luck and hope to see more of you in the future. انوشه جان بي صبرانه منتظر ديدن تصاويري كه از زمين گرفته اي(تصاويري كه از داخل پنجره سفينه ديده اي) در سايتت مي باشيم. Thanks God and Welcomeback Anousheh jan! and also thank you for sharing your huge experience with us you did a great job and we hope to see you again and again in the space you are an inspiriation for all the women around the world Allah bless you. congratulation!!! !, we are glad to have you with us again to learn more thing from you . not only your family but also all Iranian or i can say all People around the world feel proud of you. you are one of the best iranian symbole for who ever want motivate in life you showed everything is possible. anousheh jan welcome to Eearth. با عبورت از بالای سرم هم گریه کردم هم خندیدم.ممنون از حس عجیبی که تو به من هدیه دادی.غرور و افتخار به ایران . Beside each successfull man is a devoting woman. I suppose having the company of a good husband ,is one of the factors for achieving such a great historic goal. I hope most of Iranian gentelman learn from you and open the space of progress for their ladies.Cogratulations to you and thanks for relating Anousheh to people while her space journey. ma niz be noube khod be onvane 2 hamvatan az in movafaghiat shoma be khod mibalim, in nist joz paymardi shoma dar residan be arezohayetan baraye shoma va khanevade mohtarametan arezooye sarafrazi bishtar ra darim. بازگشت پرافتخارت را تبریک میگم.امیدوارم همیشه و همیشه برای ایران و ایرانیان افتخارآمیز باشی. به امید دیدنت در ایران. the firmament has a new star ! Her name is Anousheh !! God Bless you, your husband and all your family, Anousheh ! و تن پوشم چه شوق آلود..
کاش دیداری از ایران داشته باشی. همه ایران میزبان تو خواهد بود. Like thousands B4, i like, i want welcome U home. Fantastic blog! And, of course, congratulations on a safe landing. I look forward to hearing or reading more accounts of your trip. Thanks from ALL of us. Welcome Back! on our ordinary Eath and Earth Life! Congratulations! Welcome home. What a brave adventure and what a pleasure it is to discover your blog. You are a very lucky person, and it sounds like you earned that ride through a lot of hard work and determination. We are all very proud of you! I am so happy for you, I dream of going to space and you have been there. Peace be with you now and forever. با عرض سلا م به انوشه خانم سفر به خیر میخواستم به شما عرض کنم به جای اینکه برید از بالا زمین رو تماشا کنید و پولی حدود 18 میلیارد تومان رو درعرض یک هفته خرج کنید بهتر نبود به انسانهای نیاز مند کمک میکردید انسانهای که حتی برای خوردن نان شب هم محتاج یاری من و تو هستن شاید وضع مالی من مثل شما نباشه ولی تا اون جایی که تونستم به این آدمها کمک کردم نمیخوام از خودم تعریف کنم ولی بااین پول میشد چند تا مدرسه در مناطق محروم کشورمون ساخت و حدود 1000نفر رو از گشنگی نجات بدید اگه واقعا ایرانی هستید این معرفت یک ایرانی نیست . How can space smell like an almond cookie? I thought odors couldn’t travel through space? Could you explain how you were smelling??? I am so happy to hear that you are the frist woman to be on the Space. I have always wish to do so but never got the chance to do so You make my dream come true. Keep up the good work that you have done. You have made all the girls,woman and lady all owver the world proud of you.People now belived that no just Man have the chance to be in space Woman will be the next… Anything can happen. Congratulations! I am so jealous! I hope that the Arab woomen of the world see how much freedom that a follower of Islam has here. It may help everyone to get along much better. You are a new Heroine for todays young girls. I salute you! Alhamdulillah. The first Muslim Astronout. Make us proud! in my opinion you are no more than a martha stewart in a space uniform. whether its true or not is up to the court to decide. inside traders get off the hook to easy and get to fly to outerspace. they should keep all them there. Congratulations! Kindly consider writing a brief book (150 pages) about your training, early life, and space-faring experiences. It would likely be helpful to many Iranians, youth, and females, among others. Hi. That was really crazy! Space. It must have been so cool to be so far away! We also proud of you. I think you made an amazing accomplishment! Congratulations on fulfilling your dream! You are an inspiration to all the persian women and men, and I hope your hard work and determination in life shows that all dreams come true if we just keep going…. Welcome Home … we love you ,on behalf of all Muslim people around the golbe, especially in Palestine . I know most people think about how the earth looks when you can be in space and look upon the earth… But I was wondering how does the moon look while your in space, is it amazing, were you can see the surface and maybe see the remains of some of the Apollo missions on the surface of the moon??? Welcome backkkk…Thanks for sharing your wonderful journey with us..
khosh haal shodam az inke salem o salamat be zamin bar gashtid . zamini ke shayad kheily haa doost dashte bashan ke aslan rooye oon nabashan . hatta nemidoonam ke in neveshteharo vaghean mikhoonin ya inke inghadr saretoon sholooghe ke vaghte in karo nadarin . be har haal mikhastam age beshe mostaghiman bahatoon dar tamas basham , e-mail man [received]hastesh . age momkene ba e-mail ba ham dar ertebaat bashim . mamnoon misham age tavajoh konin . ba tashakor az shoma . Welcome Home!! It was fun cheering for you. Hopefully one day all the men will stop fighting and realize we are all brothers and sisters of Earth. I can’t believe it is you! I used to work with you from 1987-1990 at MCI in McLean, VA. I knew you were a wonderful woman and I respected and admired your courage and strength to come to this country to start a new life! Wow! Congratulations! What a giant leap for womankind! p.s. did you bring your cream cake that you used to make to space? Mashala, Congradulations and welcome back home. Great blog, thank you. Enshala ye roozi bebnamet! i prayed for your safe return and am so glad you are back with us. you are our pride. love, mondana from new york. I am very pleased to see that the you were able to participate in the space program. Even though you are a paid participant, it shows the diversity of the program that whether you pay or are part of the regular crew….there are many opportunities available for many nationalities. Congratulations to you and may your experience serve a lesson of tolerance. welcome back. It is really awesome that a female was the first space tourist. It is a dream to one day go in space and you help me realize that it is still a possibility that I can attain in my lifetime (I am only 23). congradulations. Congratulations! Kindly consider writing/co-writing a brief (150 pages) book of your training, early life, and space experiences, and possibly your hopes for the future. It would prove inspiring for many, including Iranians, youth, and women. Thank you. Welcome home, and I look forward to reading your BLOG! I had not heard that you were BLOGGING from space….and working for a company that loves it’s employees to BLOG, I am thrilled to hear of yours. Keep up the good work, and I look forward to hearing more of your flight and reading your BLOG. As a persian I am very proud of you, and trust me, during your trip to space all the time I was both worried and happy about you. I bet you are one of the most courageous people in this world. It is great to see a women as a space traveler. Your courage and perseverence will go a great way is space exploration. Congrats and Welcome home! You have been afforded many gifts in your life, the most recent is something unique for Humankind, you had touched the heavens, to see our world as the Angels, with no borders, no conflicts, just creation of the Lord. Khosh amadi be Zamin, Anousheh Jaan!! Khoshalam ke safaret khoob bud. That’s so awesome that you made a blog. AWESOME….BUT DO YOU GIVE SOME OF THAT MONEY TO ANY CHARITIES?, YOU SPEND MILLIONS ON A SPACE FLIGHT WHILE YOUR EMPLOYEES PROBABLY ARE SCROUNGING FOR PENNIES..
Am glad you are back safe and sound! You are a true source of inspiration for all of us! I’d suggest ‘keep reaching for the stars’ … but you already did !!! Mrs. Ansari: A well deserved dream & accomplishment. You made us all proud. I wish you success in your future endeavors. Say hello to the better half for me. Like they say, “Behind every successful woman, there is a man”. Just kidding!!!!! Welcome back dear, As a Iranian woman I am so proud of you,. conratulations on a safe landing….you inspire me to dream big, and that my dreams can be captured. maybe i might not go to space, but my goals and career choices might inspire someone else to dream as big. i want to be an actor, and i have a disability, maybe if i reach this goal, and become successful, this will be my space!!!! again great job!!! your rock!! I will always remember your words and try my best to live my life by the inspiration you have provided. Instead of seeing differences, I see the similarities. Inside of politics and power, I see another perspective and an opportunity to spread love. Thank you, Anousheh jan, for forever changing my perspective on life. Residan bekheir khanume Ansari. Omidvaram ke safare khoobi dashtin va arezoome ke yek roozi betoonam ba shoma moarefi besham. Im sure all universe adore what you have done.Thank God we still have people like you. YAY! safe return and being featured on yahoo!!!! congratulations on a wonderful adventure and thanks for including us in it with your blog. when is the book coming? I did my current event on you!!! I dont believe in planets. I totally think is all a lie and just want to sell us all the idea that planets exists. I see the moon at night, but I just do not believe someone could have ever been there. It all must be a movie! What I just find more disturb about all these is the fact that you say ¨space smells¨. This gives me now a very clear idea that you are a lier. Wasnt it suppose that you cant breath on space? So, how in the world you want me to believe that space smells? I hope everyone who reads this can now see how much we have been told lies by powerful people who just wants to make money out of creating unrealistic situations for all the people. I just simple do not believe men can be so powerful to get out of the limits of the sky or clouds!, not even in an airplain. I hope my message does not offend you, but I feel very sad you all want to continue lying to us in regard to whatever is over the clouds. WOW! Congratulations, you are such an inspiration to ALL of us, my kids and I were thrilled to read your blog. Congratulations! Welcome back to Earth! How i wish i could also experience floating in air as well as moving through space.. whoa! keep it up! Not only a diverse Earth but a diverse space as well. Thank you for leading the way! If you had another $20M to spend where will you spend it? And congratualtions on the trip. You sure do have guts :)) Extraordinary trip and great feedback. Lots of inspiration to so many young ladies all the world over. you’re such an inspiration to all of us who wished we could be there in space. your description of what it’s like to be in there makes us feel we’re there doing those things you do. congratulations & i welcome you back on earth. there’s no place like home. Happy to see you’re back on firm ground. Congrats. Achieveing so much in so little time and inspiring so many. It’s only a wish for the rest of us. I wish I knew you up close. i am impressed by your bravery and commitment. it was awsome to know that a texan woman is the first female to travel in space. if i could i would so do that. I’m so pround of you. You reminded me of my Iranian girl friend (Farah) when I first came to this country 20 years ago. Good luck to you! Welome back! i admire your courage and determination. I,m so proud that Iranian women now have explored the outerspace too along with many more other achievements. May all your other dreams come true!!!! Anousheh, we are proud of you! Happy for you and your safe return…great to learn about your adventure. Thanks for sharing with the Globe your wonderful smile and notes from space. Congratulations! I cannot thank you enough for sharing your experience with me! I felt like I was there. You have very insightful and inspiring viewpoints on our planet and its inhabitants. I too pray for a world without borders and peace. You are an amazing Earthling! Happy for you and your safe return…great to learn about your adventure. Thanks for sharing with the Globe your wonderful smile and notes from space. Congratulations on all of your 1st’s–a complete inspiration to all women and mankind. Whoah congratulations on just blowing $20,000,000! You make all of us, Iranian women, proud. Glad to see you return safely. Congratulations on this achievement which has inspired many, all around the globe. We’re so proud of you. Welcome back.I hope you enjoed and thanks God you returnd home safty.We(All Irainan women all around the world) are really proud of you.I hope everybody’s wish come true. Congratulations on setting a great example for women all over the world. I can’t wait to read your blog of impressions that you experienced while in space. I hope the school teachers all over the world will show their students, young and old, your blog to inspire them. You are from my age. No one knows what we went through. we fought all of it to gether without even knowing each other. In my heart, I am so proud you. Your another figure that need to be memorized by schoolers =) another important person in the history of mankind, another first in the record . WHEW!! you inspire us. Now will understand more how the outerspace really looks like and feels like when your up there. we from the tropical islands philippines Congatulates you !!!!! I hope all the world can someday see, as you have, how small we are in comparison to the universe. I’m happy you have inspired so many excited people from all corners of the planet. This wonderful reception you receive could be a great precursor to what good may come of these difficult moments in we now face. Thank our creator for blessing us all with your safe return! Although I will never be able to make a flight like the one you did, it it is gratifying and thrilling to know that someone LIKE me will be able to do so in the future. Thank you for helping us see the possibility that exists in all dreams. You are not just an inspiration to women; you are an inspiration to all of humanity! The experience and memories you now have will reward you and others for the rest of your life on earth. In fact, your expedition will transcend your mortal life, and will be carried into the future by your family, and through the miracle of modern technology. I hope you will find ways to share your incredible, once in a lifetime experience, with as many people as possible. Congratulations on your achievement. Amazing Earthlings — comments on this post are now closed.